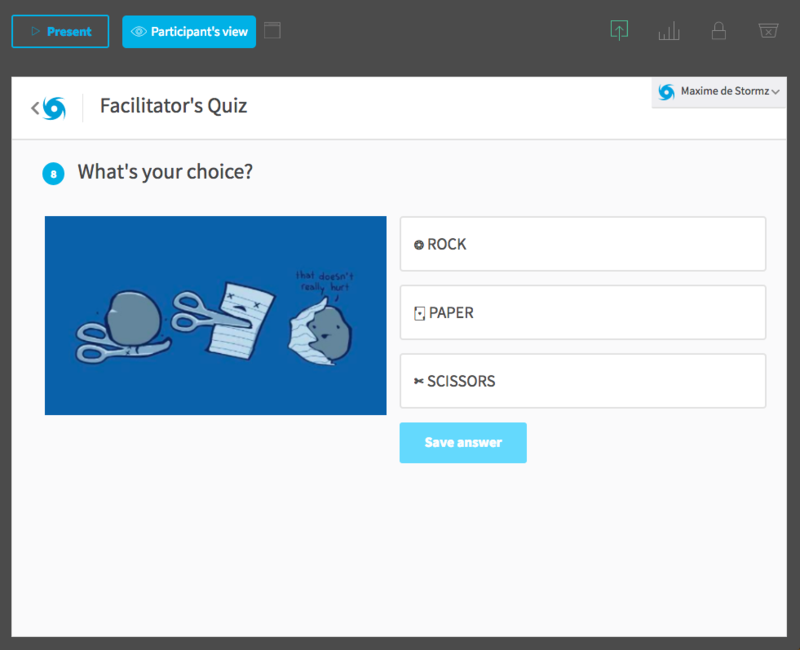 To test your participants, facilitate a quick knowledge competition and/or gather their opinion on a topic. To get qualitative insights to your questions, either for an assessment or to find new ideas. To fill in a survey, with all types of personal info, for instance. 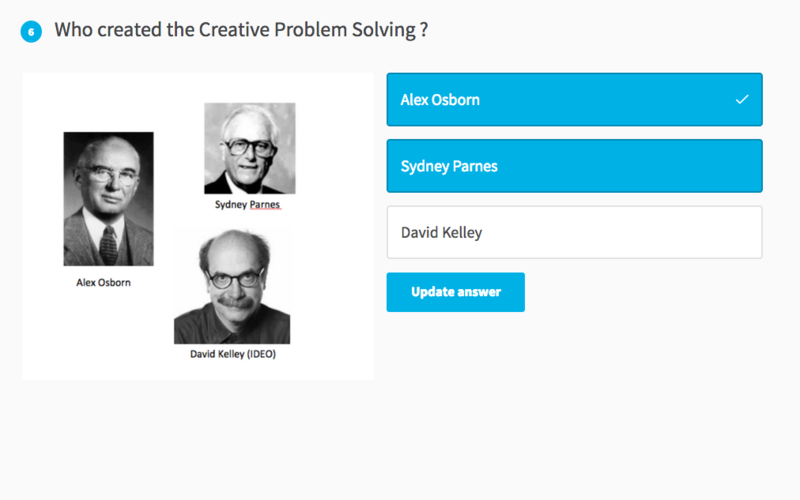 The Presentation Mode is designed to show questions and answers on a large screen. 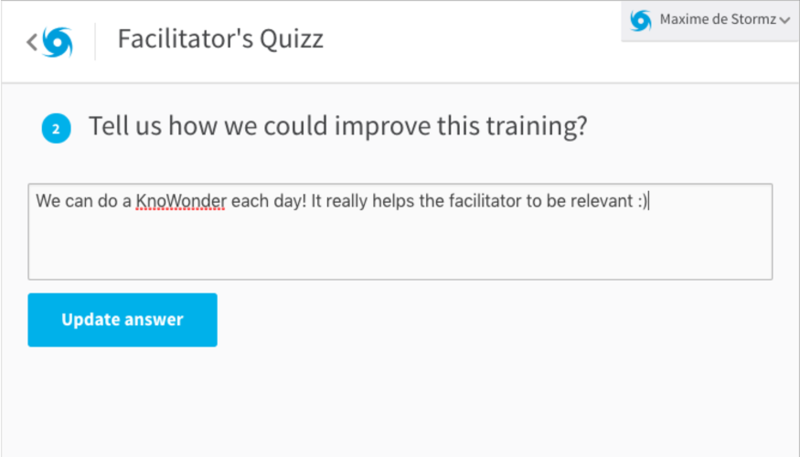 The Participants View enables you to check the parameters of your Quiz before the session and guide your participants during the session. Show the list of answers after an Open Question to see how everyone has answered. Analyse the vote distribution of a multiple choice questions thanks to a bar chart. The right answers will appear in green. The Question Ranking shows who won the most points on the current question! The Overall Ranking so that participants can compete against one another. 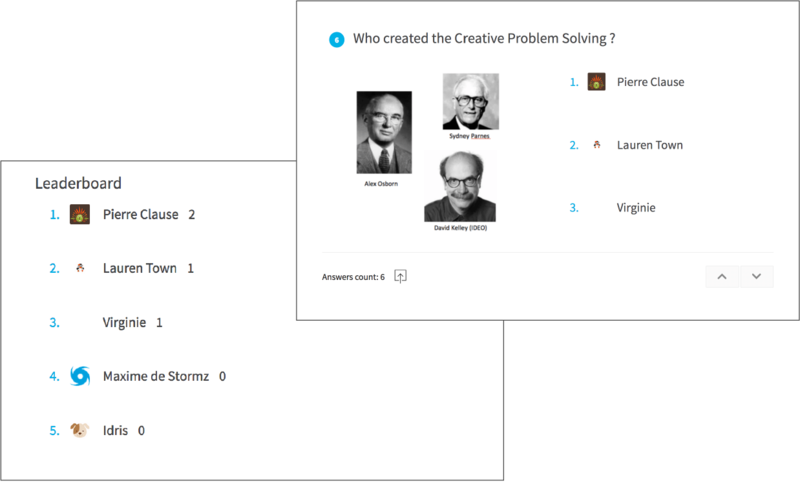 This enables you to see all the questions, to create them one by one and to configure your quiz. The List of Questions. To create, control, rearrange or even delete the questions. Synchronous or asynchronous? 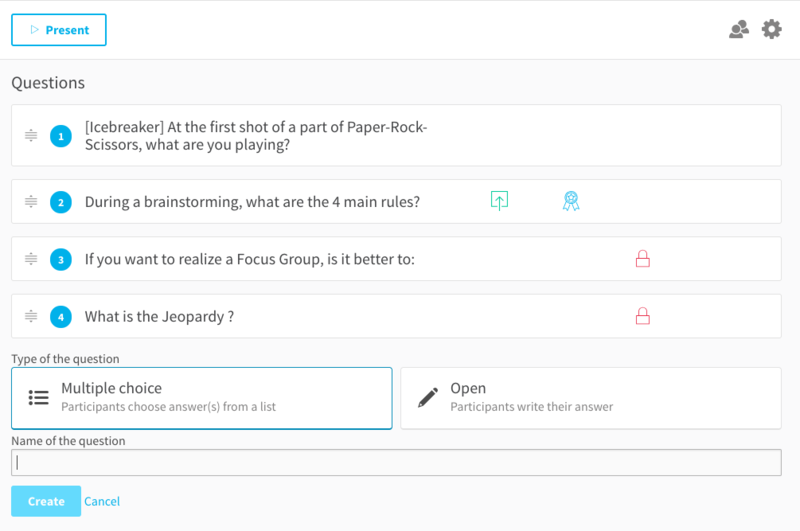 Choose whether participants have to answer simultaneously or not. The Lateral Panels. To send invitations to your participants, illustrate your questionnaire, export results and archive or delete everything. Always available, the Commands enable you to choose precisely what your participants are able to do and see. [P] Publish the Question so that all your participants can see it. [R] Show Results with a list of answers or a bar chart. [L] Lock the Question so that no one can answer, even if it's already published. [C] Clear Results to erase the data. [G] Display Presentation Mode to display the questions on a large screen. 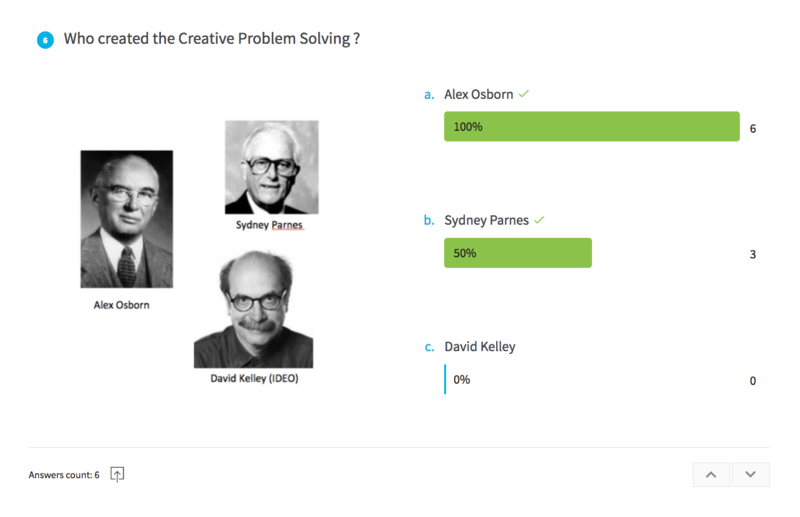 [V] Display the Participants View to test the quiz or explain how to use it.